The lipstick is packed inside a broken white carton box. On the back of the box, you can find the ingredients of this product. This is the photo of Night-Blooming Cereus flower. 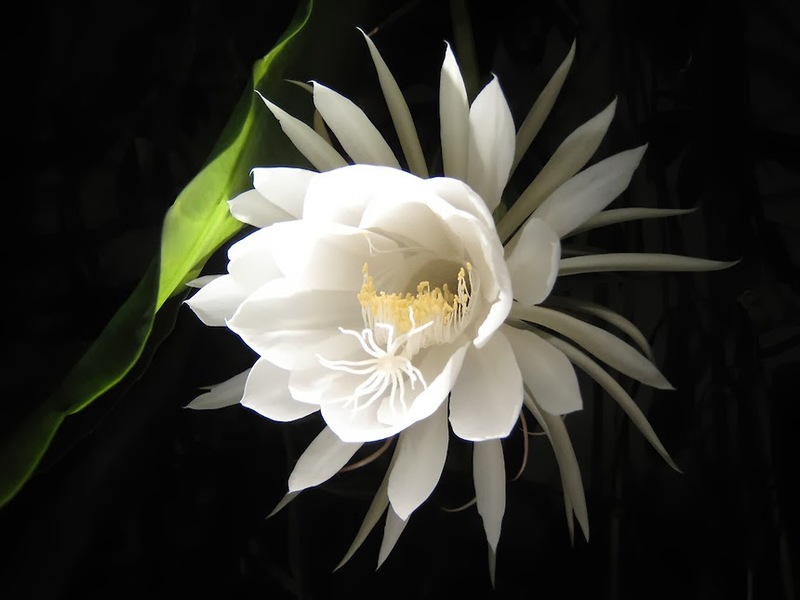 Night-Blooming Cereus flower extract is a skincare ingredient, which is also found in makeup product. 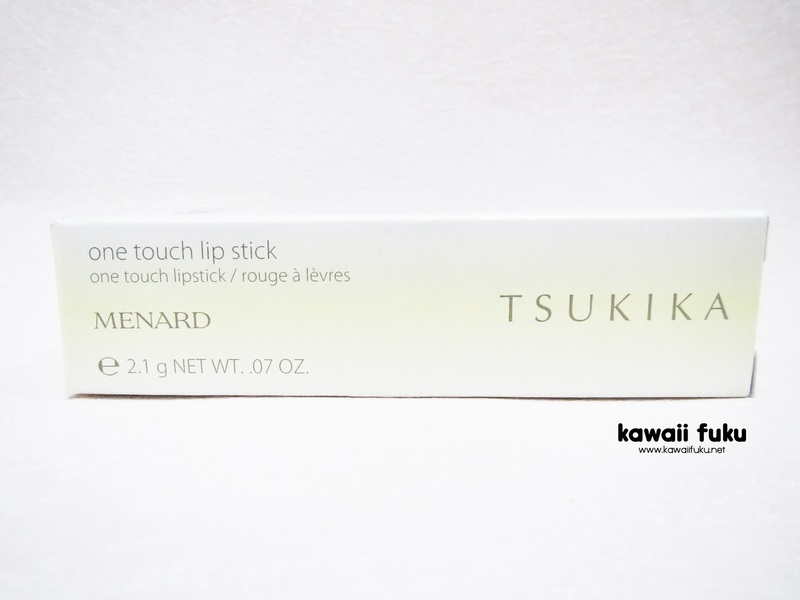 Menard put this flower extract into their Tsukika makeup ingredient as well as their skincare. 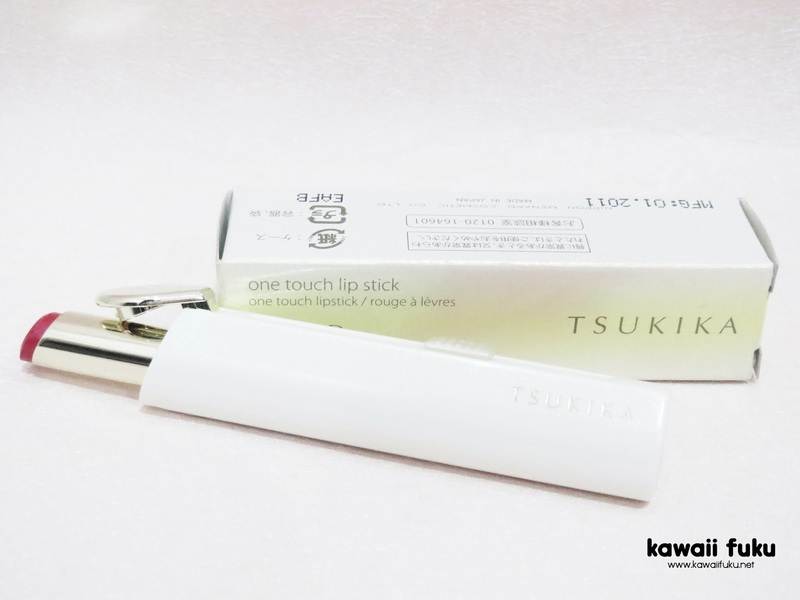 Tsukika one touch lipstick contains Night-Blooming Cereus flower extract as the main ingredient. 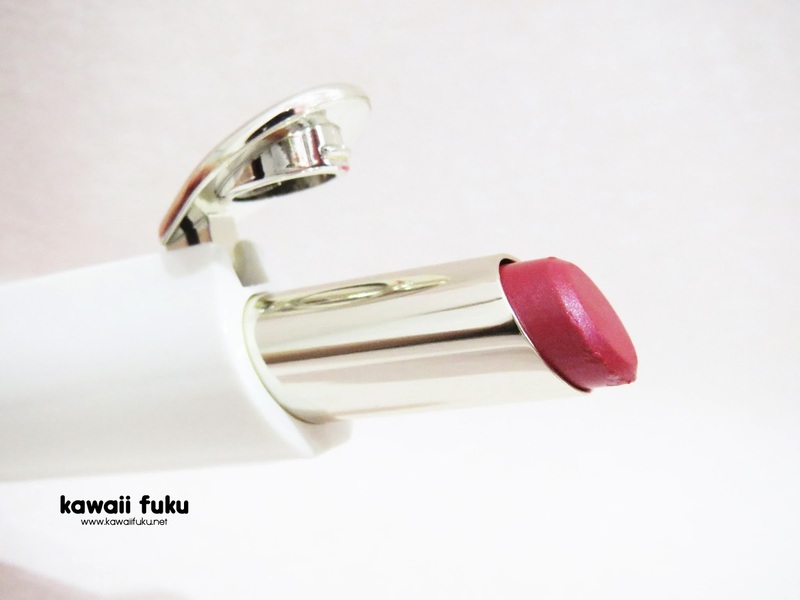 It's a rare Japanese flower proven to make the lips looks moist and supple. When you apply the lipstick on your lip, the Juicy Rich Oil will melt with the temparature of the lip. 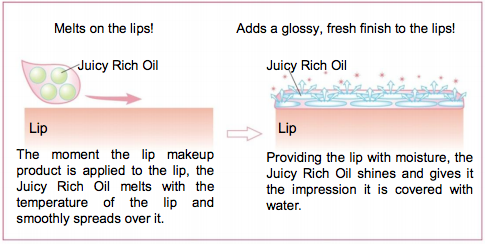 Juicy Rich Oil will moisturize your lip and give the impression that your lip is covered with water. 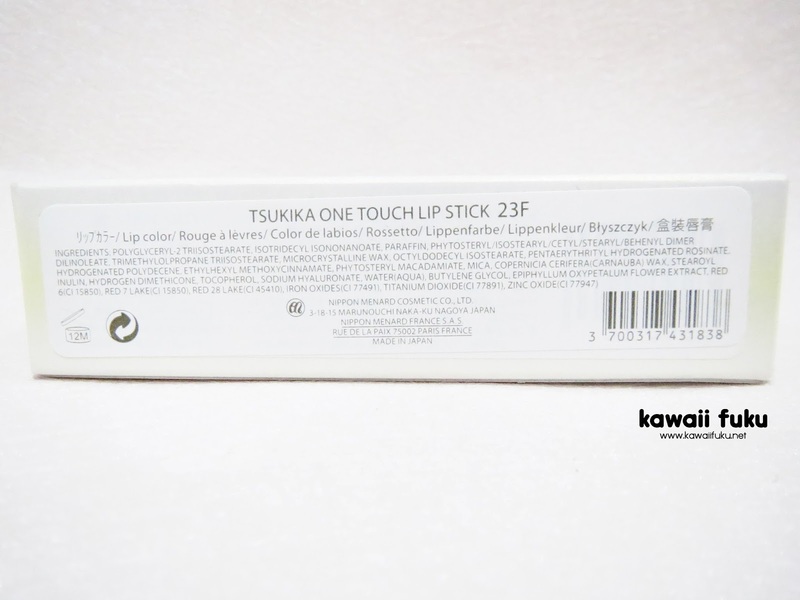 One touch lipstick has 8 shades, divided into 2 categories. 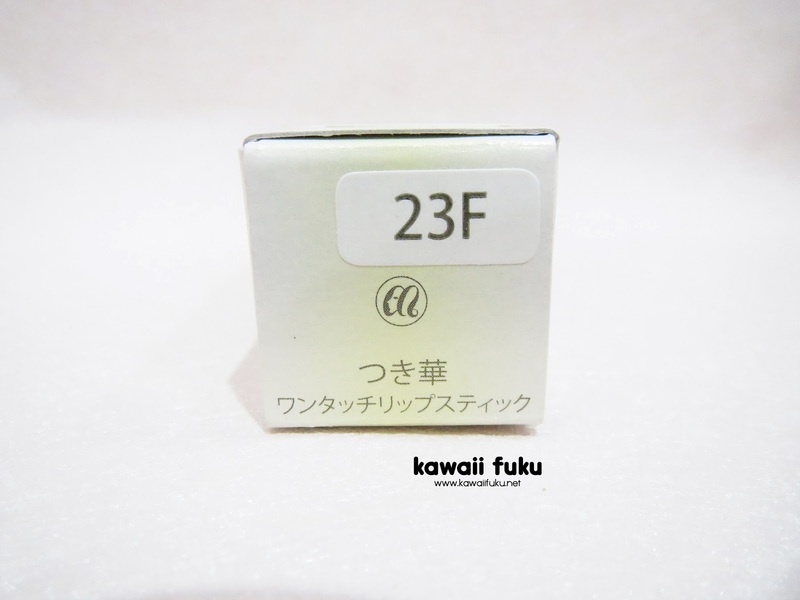 I got mine in 23F, one of colour type lipstick. It has crisp and bright colour. Featuring a high degree of clearness and skin fitness. Packed in a carton box plus a small plastic bag, Menard sure gives double protection to the product. The packaging is so simple with shimmering white colour all over it. 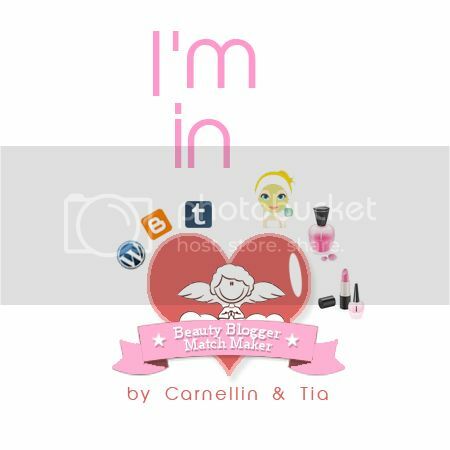 On the bottom part of the lipstick, you can find the shade information. 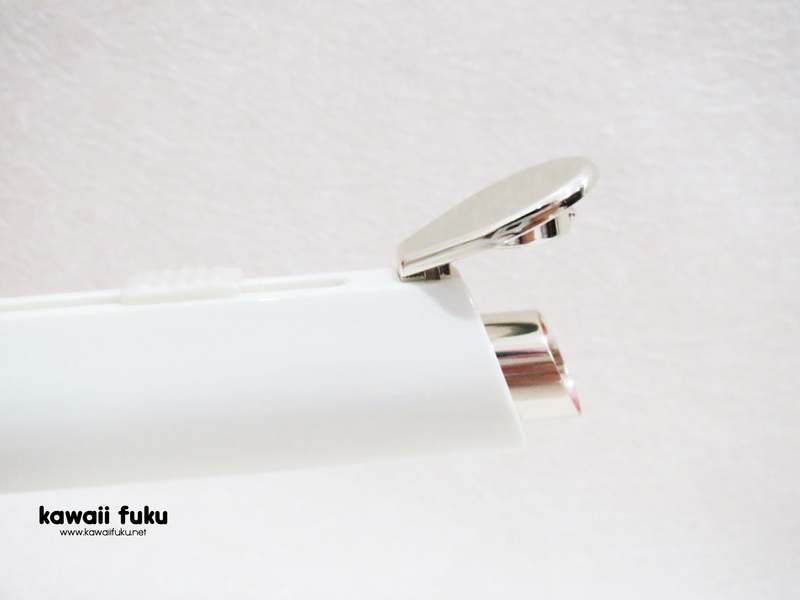 Instead of having a cap like mostly lipsticks have, this one has a slider to open and close the lipstick. 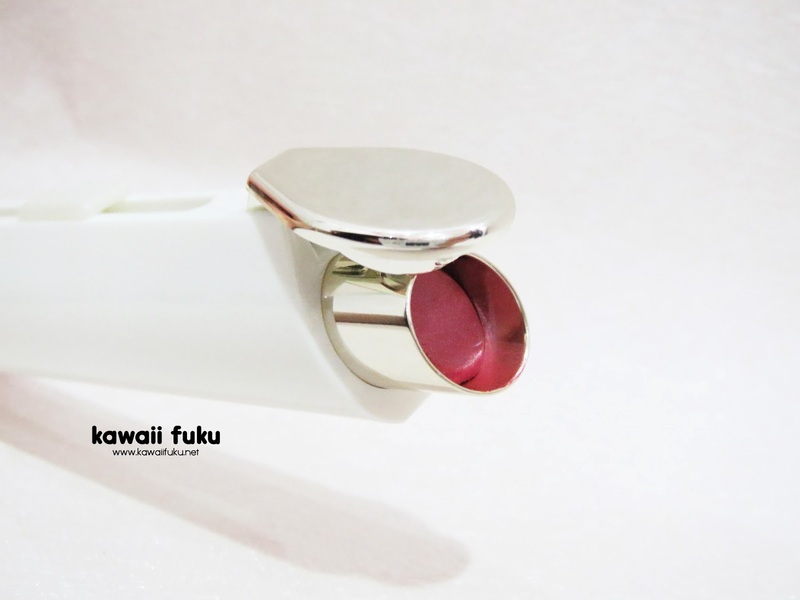 Slide the slider down to open the lipstick cap and make the lipstick comes out. Slide it up to close the cap. SPF will give you protection from UVB rays. 1SPF represents 20 minutes. SPF 10 means it will protect skin for 3.5 hours. PA will give you protection from UVA rays. The more the + (positive) on the PA, the better the protection against UVA. This lipstick has a sheer pretty colour. As for me, I like it. It gives natural look once it applied on my lips. Once I eat or drink something, the lipstick will fade a bit. they must re-apply their lipstick more often. This lipstick gives glossy finish and shiny (it's like there are micro shimmering pearls on my lips). Thanks to Juicy Rich Oil which gives shine and impression that my lips are covered with water. Overall I love this lipstick. 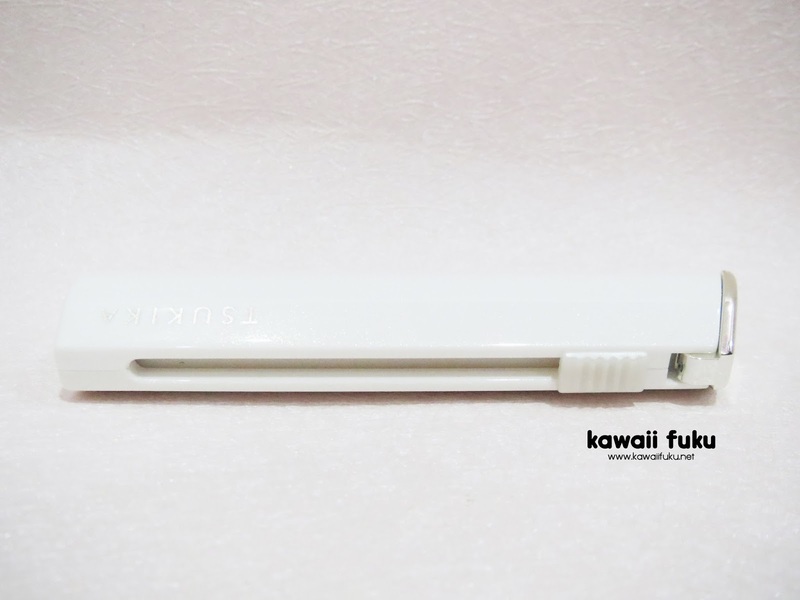 It glides smoothly on my lips (even without using lip blam before). 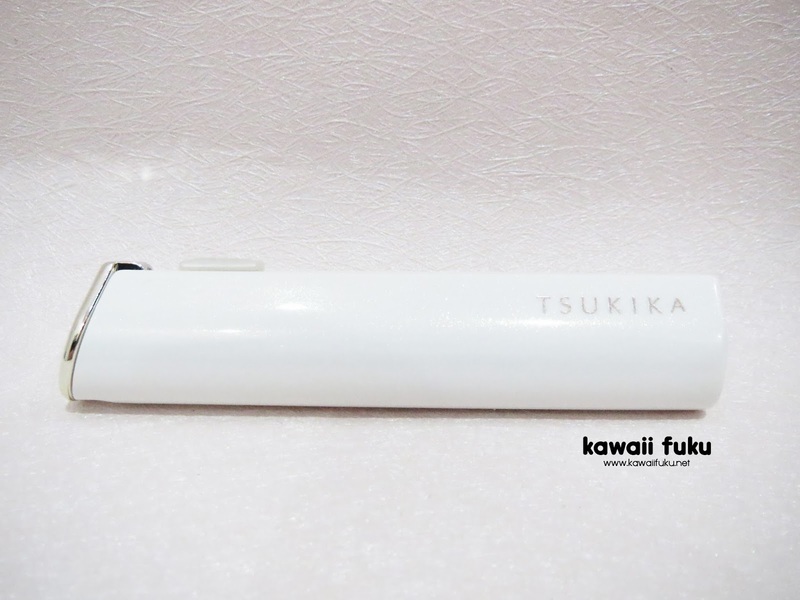 I also like the packaging which has slider instead of lipstick's cap. 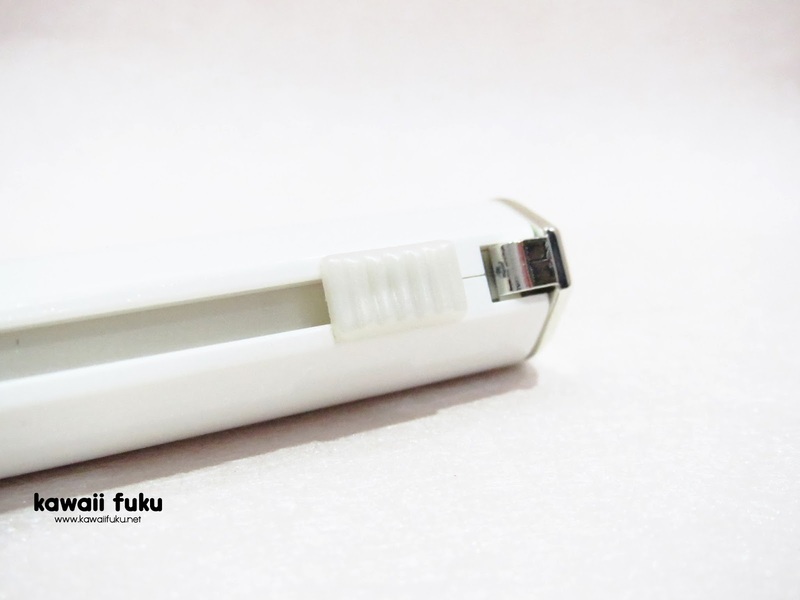 It makes faster and easier to use and I have no worry to loosing a lipstick's cap.